There’s another level of heat that’s a bit old hat now between West Coast AHL rivals Ontario and San Diego. 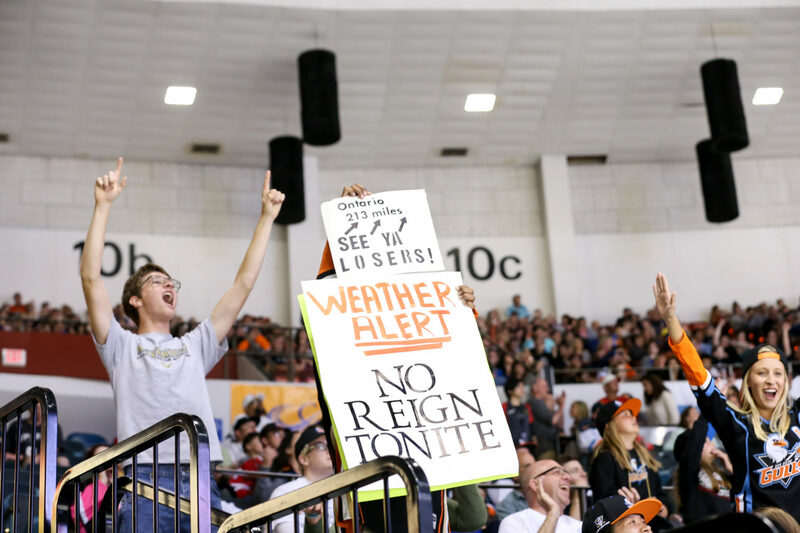 The Reign know it well and have felt it recently from the San Diego faithful. Once inside it’s even more hostile as the Valley View Casino Center, barn of the Western Conference’s biggest crowds for a second straight season, gets bodies pumping onto the ice. For a second consecutive season the Kings and Ducks affiliates will meet in the Calder Cup Playoffs — this time in the opening series. The basic need-to-know is that this is first round best-of-5 (it’s seven games the rest of the way) where victories early on become all the more crucial to gather. Games 1 and 2 are back-to-back on Friday in San Diego and then Saturday in Ontario, both at 7 p.m. Head-to-head in the regular season both teams finished a rare 6-4-1-1 against the other. 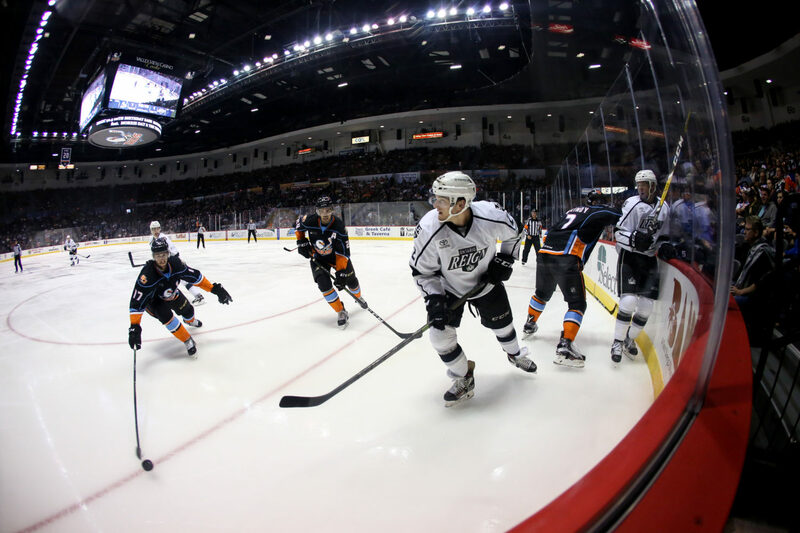 The Reign have the playoff edge after bouncing the Gulls in the second round four games to one a season ago. This time around there’s very little room for advantages but one is home ice, which is on the side of the second-seeded Gulls in the 1-1-1-1-1 format. Former Reign and now Gulls forward Jordan Samuels-Thomas called the San Diego crowd “invaluable.” The Reign believe they’re up for the atmosphere. It’s an odd circumstance: The Reign may have their strongest and healthiest lineup ready to go for Game 1, a collective group where one key player or another has been amiss nearly all season. 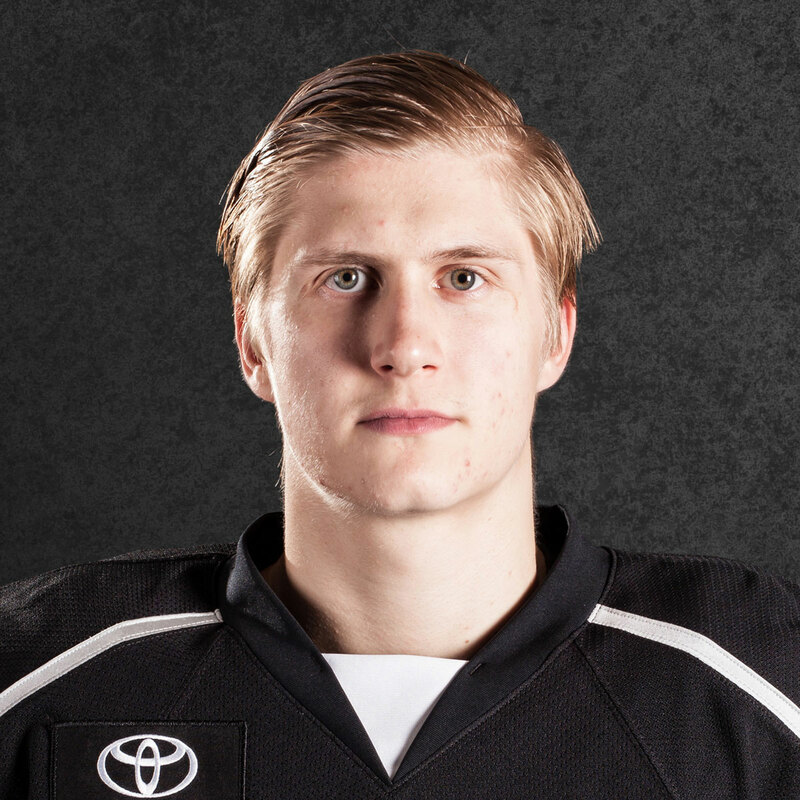 Reinforcements are back from Los Angeles in speedy Adrian Kempe, gunslinger Jonny Brodzinski and puck-moving D-man Paul LaDue. For Ontario and the organization as a whole, their I.E. return is the lone silver lining of the Kings failing to make the playoffs. “Any time you get the some players like the three we just got back it’s a huge boost and we’ll make sure to try to take full advantage of it,” goalie Jack Campbell said. For the Gulls though a majority of their top players are holding roster spots on the Ducks, who just finished a first-round sweep of the Flames in the Stanley Cup Playoffs. Only forward Ondrej Kase has been sent back to San Diego while others eligible to return, per Gulls PR, are stud-like prospects in defensemen Shea Theodore, Brandon Montour and forwards Chris Wagner and Nick Ritchie. Their stay in Anaheim will only benefit Ontario, which has earned the opposite in the previously noted trio’s reassignment. 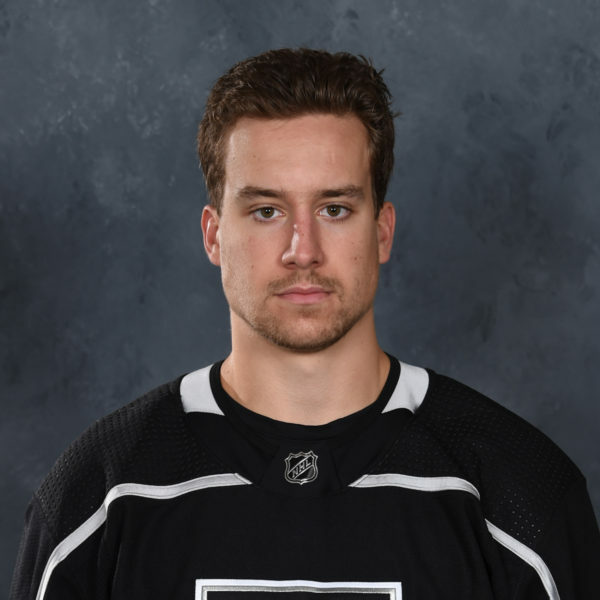 The 21-year-old Kempe has displayed a knack for postseason success by scoring 12 goals in 30 playoff games over the last two seasons and was antsy for the second life at a meaningful run, albeit in the AHL. “I don’t want the season to be over yet so I’m really excited to be back and play some more games,” Kempe said recently. For Brodzinski, who led Ontario with 27 goals, he suffered a hand injury that knocked him out prematurely in last year’s playoffs. As a result, he didn’t get the chance to fully show the kind of damage he can do when the games matter more. LaDue sat out the final two games of the regular season so he could very well be banged up, although Stothers indicated that LaDue was out — while Brodzinski and Kempe both played — so the coach could get a better look at recently-arrived blue liners Matt Roy and Chaz Reddekopp. On the Ontario injury front are hopeful headlines. Defensemen Kurtis MacDermid and Zach Trotman, who both starting skating without restrictions earlier this week, are getting closer. Both have been out with upper-body injuries, MacDermid for the last nine games of the regular season and Trotman’s since mid-November with a shoulder ailment that required surgery. The status of valuable centerman Andrew Crescenzi (undisclosed) is up in the air. “We still haven’t had that lineup that we’ve been waiting for since Christmas time to see who we are, what we are, what we really look like,” Stothers said. That’s due to stretches where Campbell was recalled to L.A., Michael Mersch and Joel Lowry were out with knee injuries and Justin Auger out most recently with an upper-body injury. 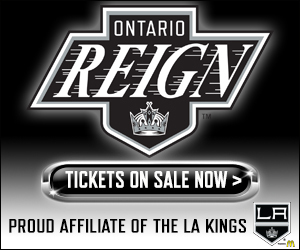 Should the hard-nosed MacDermid, experienced Trotman and responsible Crescenzi play in this series the Reign will have their big dogs back together for the most important of times. 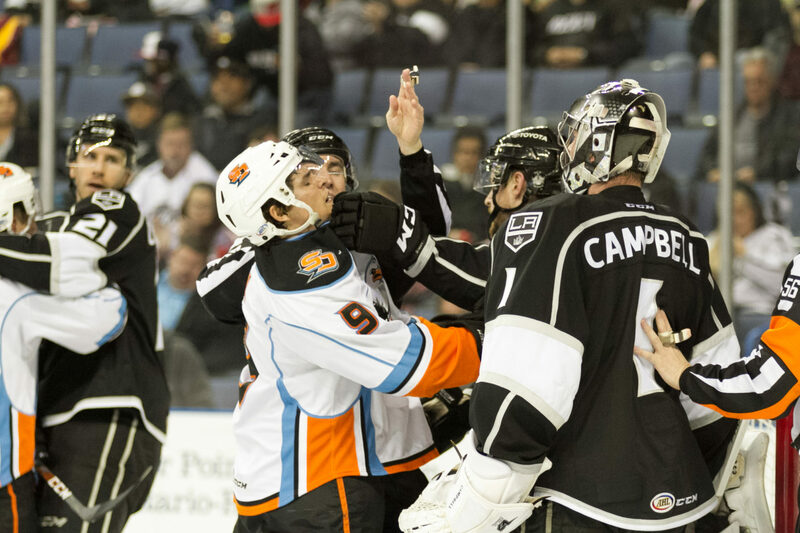 Both the Reign’s Jack Campbell and the Gulls’ Jhonas Enroth, a former King, have experienced unexpected seasons. 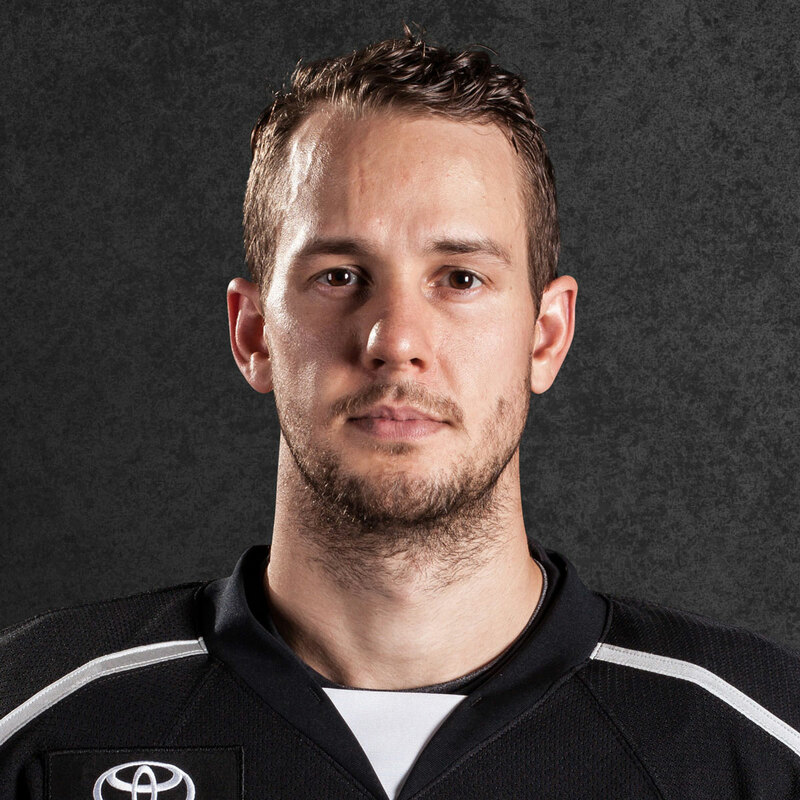 Campbell was acquired in an offseason trade with Dallas and was slated to back up Peter Budaj. Instead, the injury to Jonathan Quick pushed the former 2010 first rounder into the limelight where he was an All-Star, finished with a league-high 31 wins and once started 36 consecutive games. Around this time last April, Enroth was voicing his displeasure with the amount of playing time he got with the Kings behind Quick in his first and only season with L.A. After starting the season with Toronto, he was acquired via a trade by Anaheim for a seventh-round pick and immediately sent to San Diego. The veteran’s posted impressive numbers with a 16-5-0 record, .931 save percentage and 1.91 goals against. With his history with the organization, Enroth may have a bit of a chip on his shoulder. “Why wouldn’t he? He considers himself an NHL starter. They all want to play,” Stothers said. “He’s got something to prove and he’s had a great run for San Diego since he’s been there. But I look at the same for a guy like Jack. He’s on a different organization, he’s had a lot to prove all season long and he’s done so. He’s done a good job. I don’t think it ever stops. 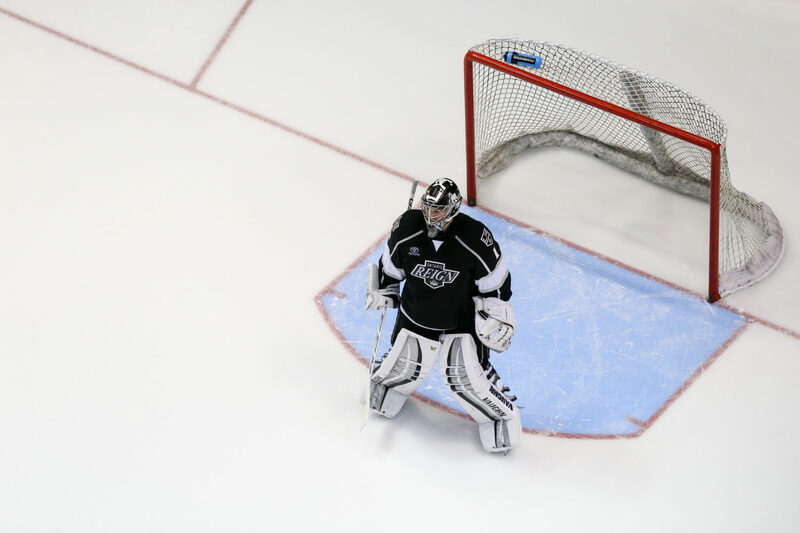 There’s always something to prove whether you’re a goaltender, defenseman, forward, coaches. If one or the other can steal a game or two that will be key in this shortened series. Campbell and his 2.52 goal against average and .914 save percentage is 6-3-1 against San Diego while Enroth holds a 4-1-0 record against Ontario. It’s a simple stat that goes a long way in the way in the end results of hockey games these days. The first goal seems to be the all important one and the Gulls are a whopping 28-2-2-1 when scoring first and their .894 winning percentage being first on the board was second in the AHL. The Reign aren’t too shabby either at 26-5-5-0. Stothers’ often opinion on this stat is, well, of sarcasm: Why play the rest of the game if when the Gulls score first the fate of the game is decided? “Don’t talk about it,” Stothers said, when asked how the Reign avoid overthinking the topic. The Reign played the Gulls in four of their final five regular season games, each time with the team scoring first coming out on top. 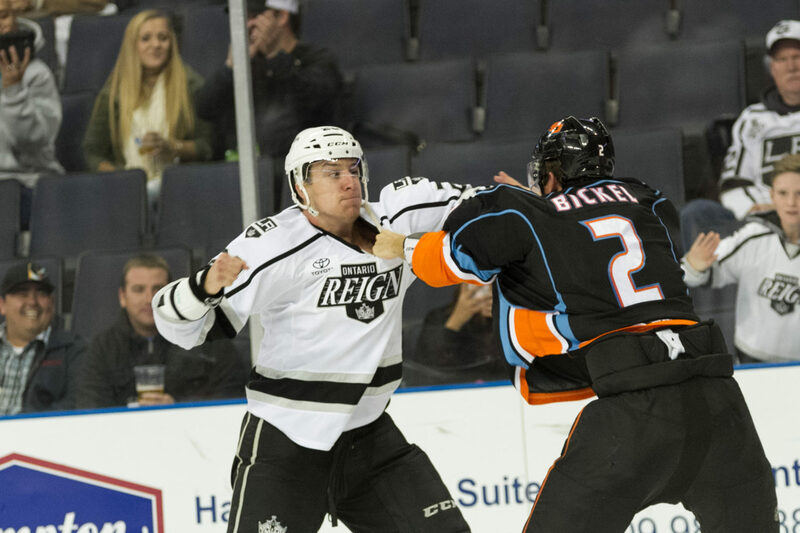 Two fresh players on both sides will be ones to keep a light eye on in this series to see whether what they did in their brief time in the regular season can carry over to postseason success: Philippe Maillet of the Reign and Austin Ortega of the Gulls. The production of the 5-foot-9 Maillet, fresh off a CIS championship with the University of New Brunswick, has made a “real good impression,” on Stothers. 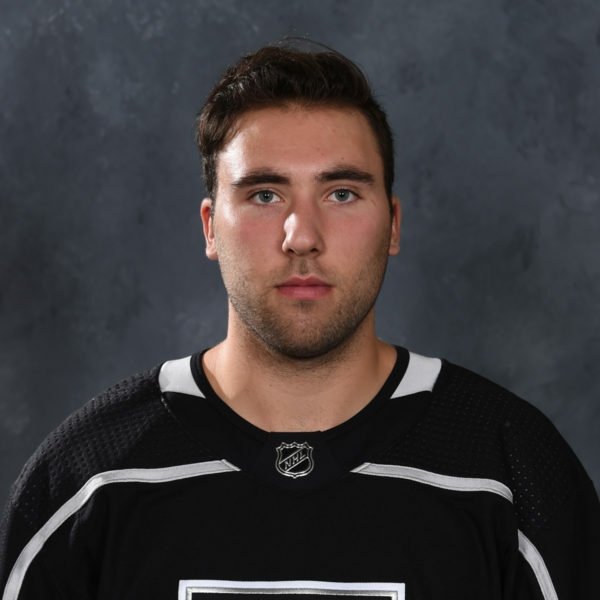 He’s been put in the best of situations to be successful, getting ice time with veterans like Teddy Purcell and T.J. Hensick and most recently with Kempe and Brodzinski. His speed and creativity has been effective. He had two goals and two assists in eight regular season games after joining the team late. For the Gulls it’s Ortega who’s made an immediate impact. The 23-year-old Escondido, Calif., native who played as a youth in the San Diego Jr. Gulls program, is looking right at home with his four goals and one assist in six games. « Previous Post Which forward lines and “twos” were the most effective?